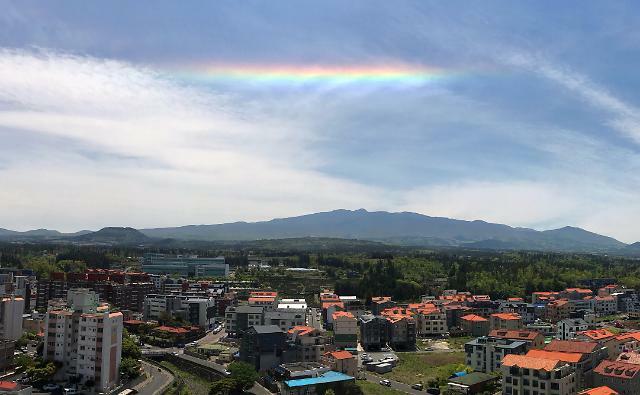 The phenomenon of cloud iridescence was detected in the sky over South Korea's southern resort island of Jeju. Iridescent clouds are formed by tiny ice crystals or water droplets in the air that cause light to be diffracted, creating a rainbow-like effect. Iridescence is usually seen in high and mid-level clouds.